Welcome to Air – A place where the lightness of being comes alive! Only @ Air will you feel a sense of light mindedness and peace! Peaceful and tranquil at day and groovy and vibrant at night! A trendy and chilled out zone newly introduced in the city, Air exudes a relaxed and contemporary vibe. It’s a new way to unwind and enjoy the city at night. 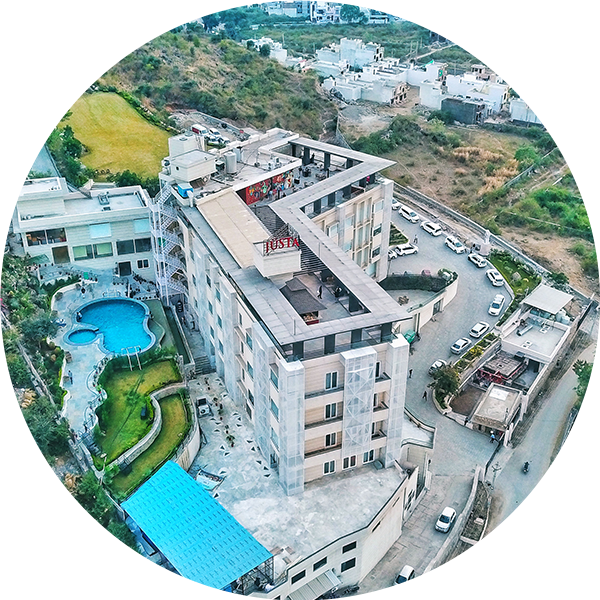 Air hosts a uniquely designed community cooking pad for the first time in Udaipur, where you can enjoy a live display of culinary skills by our trained chefs in Teppanyaki style or throw a private party for your guests sipping your favorite drink while enjoying a stunning display of live cooking. At Air, in addition to creating a space of lightness, we also wanted to foster a sense of communal spirit. And what better way to do so by offering a wide range of entertainment options to people various preferences. The weather in Udaipur, popularly touted to be pleasant throughout the year, was another factor to attract a huge crowd to the rooftop. With its 180-degree panoramic view, the place offers an ambiance of a relaxed lounge to enjoy your favorite sun-downer. If your idea of a great evening is to let loose and enjoy an upbeat chic lounge, then air is your place to be. At Air, we don’t just create places for our customers to enjoy food and drinks. We have a far loftier goal of creating an experience for our customers. We want them to have an incredible evening out that leaves them feeling incredible. Our concept rooftop eatery and bar is the perfect venue for unparalleled experiences.